Delightful Interview with E.M. Powell, Author of Medieval Novel The Fifth Knight | Oh, for the HOOK of a BOOK! Read on, and don’t forget to enter into the giveaway at the end! Hi, E.M.! Welcome to Oh, for the Hook of a Book! We are happy you’ve stopped by today to share your love of historical and medieval fiction. How are things? Hi Erin! I’m so pleased to be here too. And things are great- they’re extra great because I’ve read your amazing review of The Fifth Knight. So I’m guessing I’m going to be among friends here! Absolutely! Let’s take a minute to get settled in and we’ll begin to learn about you. Here we go…. Q: Your novel, The Fifth Knight, is a thriller featuring Sir Benedict Palmer during the time of King Henry II, in England. Where did you come up with this historical crime drama idea? Erin Comments: I like many various types of historical literature, but current medieval (you know what I mean) seems to be what I’d love to read more of too. I’ve always loved that time period (on paper, wouldn’t want to live it) and really love King Arthur tales. There is quite a bit of lore that would make people some great novels. Glad you took on the murder of Becket…. Q: How do you explain the element of romance within your book? A: It’s quite a strong one. Benedict’s relationship with Sister Theodosia Bertrand, the young nun who’s hidden in the walls of Canterbury Cathedral, who is abducted by the knights- it goes through quite a few challenges! 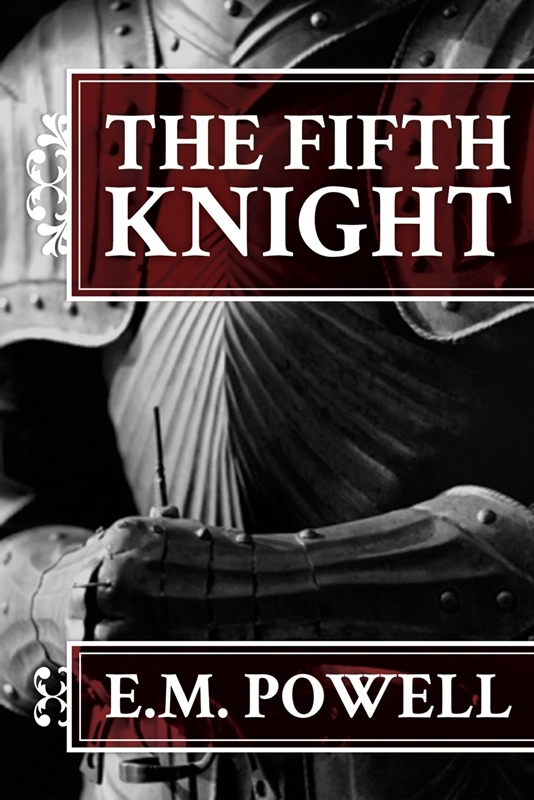 Prior to publication, The Fifth Knight was a multi-contest winner and finalist in Romance Writers of America chapter contests. My proudest achievement was winning the Kiss Of Death Chapter ‘Daphne’ Contest in the Mainstream Category in 2011. Kiss of Death is the chapter that specializes in Mystery & Suspense and the Daphne is a hugely respected contest. Q: What kind of research, and how much research, did you need to do before or during your writing of this novel? Erin Comments: Amazing, dialect is so intriguing! I also read widely from many excellent historical reference books such as Henrietta Leyser’s Medieval Women. Living in the UK is an advantage too. My poor family has been dragged round more medieval castles and museums than they probably would like. Ditto with historical re-enactments. But walk into one of those and you get all the sounds and smells as well as the sights. They’re amazing. Erin Comments: If I lived where you live, I’d say my family would be drug around too! I always thought I’d come back one day to England and be married in a fabulous castle…..every girl’s dream I guess. Nothing compares to that kind of history here in the U.S.
Q: What was the most intriguing thing you came across when doing your research? A: Probably the lifestyle of an anchoress when researching for my heroine, Sister Theodosia Bertrand. An anchoress was a cloistered nun and Theodosia is preparing to take her final vows. When I first came across the concept, I was intrigued. I visited a remote church in Lancashire, where I was shown an anchoress’s cell that had survived for hundreds of years. Hearing that a woman had voluntarily been locked in that tiny stone room, and all for the purposes of glorifying God and saving the souls of others, had my interest caught. As I researched the role of an anchoress more, it became even more fascinating. The religious ceremony that took place when an anchoress took her final vows included singing of Psalms from the Office of the Dead. She was sprinkled with dust before entering her cell and the door was closed after her. Some cells were as little as eight feet square. With others, even the door was bricked up. There was a tiny window left through which the anchoress would hear the prayers of others. But she always had to be screened from view, as to be seen was considered a sin. An anchoress could be enclosed for twenty years and there are records of fifty years of enclosure. A guide for anchoresses written at the turn of the twelfth century, the Ancrene Riwle, advises them to daily scrape up the earth from the floor of their cells, as a reminder that the earth will form their graves ‘in which they will rot.’ Eve, the sister of Aelred, twelfth century abbot of the abbey of Rievaulx, was brought up from the age of seven at the convent of Wilton before becoming an anchoress. And every day, these girls and woman spent hours in prayer, devotion and physical deprivation for the sake of the souls of others. Erin Comments: This really renders me speechless…this life of an anchoress. I wasn’t even aware of them, or had forgotten, until I read your book. The thought of even surviving that way without going mad….strong women. Q: Who was your favorite character to write about in The Fifth Knight and why? A: It would have to be my hero, Sir Benedict Palmer. In earlier drafts, he was already an established knight and rescued Theodosia because he was a noble, committed knight. That was too dull. By making him a knight-for-hire, with flawed motives, he became much more interesting. He’s a far rougher diamond than when he started off, but that’s what readers seem to really like. Q: What is your writing process like? Do you form an outline or write at will? Do you set writing goals? A: Outline every time. My first novel was a write-at-will and it shows. It’s not structured enough and- Oh, goodness, I’m not going to try and dress it up. It’s 150,000 words of formless drivel. It will never see the light of day but I learned a lot about plotting because of it. Q: How long did it take you to complete your novel? A: Two years. But that included a 30,000 word re-write (out of 100,000 words) when I realized Benedict’s character was wrong. Q: You have a day job and a family. How did you make the time for such as accomplishment as writing a novel? What tips do you have for other authors who need motivation? A: I gave up sleep in 2002. Kidding! I love to write so I try and make time where I can. Having good critique partners can be a huge help. Every writer has days when they look at the screen and think: ‘Aaargh! I just can’t do this.’ But try. Lay down one word after another. The first couple of paragraphs will be dross, then you’ll be back in the flow, that marvelous flow where the story that’s in your head is coming to life before your very eyes. Erin Comments: Yes, sleep is fleeting sometimes! I think we should add 8 hours to each day…that might work, right? GREAT ADVICE, I like what you say about just starting in and eventually it will flow. Q: What did you learn about yourself through the writing process and with the completion of your book? A: That I really, really don’t take ‘No’ for an answer. I will keep going until I get a ‘Yes.’ And for any writer who wants to achieve publication through a traditional route, that is what has to happen. Q: How did you begin the process of publication? A: I wouldn’t have got there without first getting my agent. And I have the nifty Query Tracker website for that. It’s ace. Q: What are your thoughts on self-publishing versus traditional? How does either help and/or hinder the historical fiction genre? A: Self-publishing is a revolution that is still happening. No-one has the benefit of hindsight to say how it will all pan out. It’s like any huge change: it’s working brilliantly for some people, others not at all. For me the most important thing is this: writers must make sure their work is the best it can be before taking it to any market. Readers deserve that because we ask them for their time and money. Erin Comments: I agree. I sometimes wonder if some writers even edit their work. But that does a disservice not only to the reader, but to themselves, and their story, as well. Q: What authors have inspired you? What are some of your favorite books, movies, or the like? A: I love Robert Harris. For anyone who has not read his novel of 79 AD and the eruption at Pompeii, give yourself a huge treat. I love C.J. Sansom’s Shardlake series set in Tudor England. And I love thrillers (surprise, surprise!). Tess Gerritsen is my all-time favourite. I love Michael Connelly too. 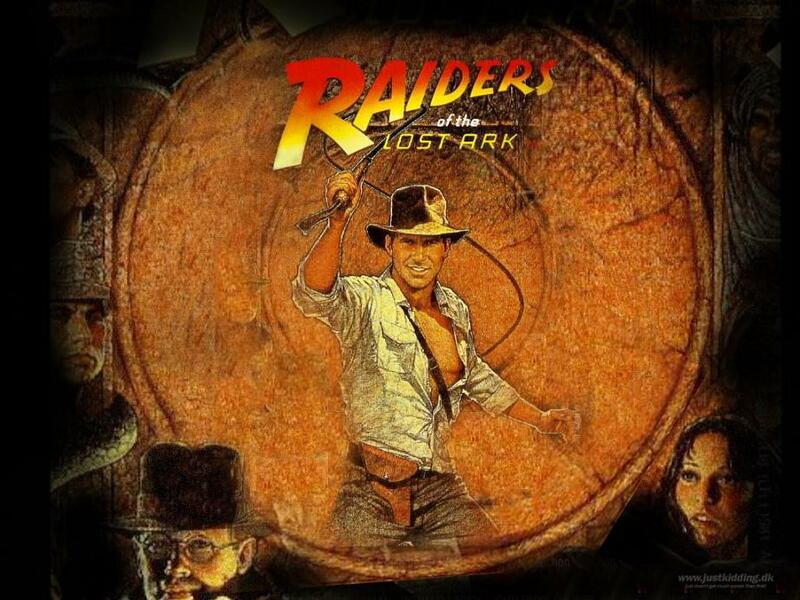 For movies, it has to be Raiders of the Lost Ark (historical thriller based on ‘What if? Hmm..) Spielberg is just the master of stories that grab you and won’t let go. Speaking of which, I ought to sue him for seeing Jaws when I was ten. I only ever go into the ocean now if I think someone more edible-looking than me is already splashing around. Q: Who are your favorite women in history? Who would you want to write about in the future? A: Emmeline Pankhurst, founder of the Suffragette movement. She led a tough, tough fight on the road to equality for women and didn’t give up until she won. And Rosa Parks, a middle-aged, ordinary woman who was brave enough to say ‘Enough’ to the unacceptable. Erin Comments: I am total agreement with you pursuing that book(s). Emmeline to British women is like Susan B. Anthony in America. I have long been interested in the history of all these women across the globe that fought for our women’s rights. I am hoping more authors take on writing about them. They were amazing trailblazers. And Rosa, yes….quite an inspiration. As we still fight the fight against racism today, she is always an example to look toward, remember that many small acts can combine into one large moment of change. Q: I read you are from Ireland, I think….or Irish descent. Have you thought of writing anything from your ancestor’s history? Why or why not? 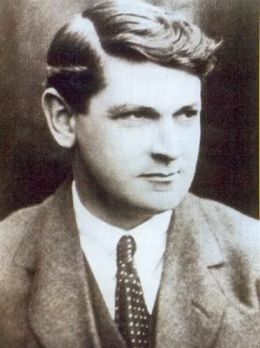 Pictured: Michael Collins-I see the resemblance! Q: I also see that you like the medieval time period. What do you like best about it and are there plans to pen a novel with that theme? There seems to be few books but lots of interested readers. A: I love the art, the distinctive colours of illuminated manuscripts. The architecture is wonderful- stone castles of that era are just amazing. There’s also something that really resonates about a society where religion is woven into every aspect of daily life, where peoples’ lives are ruled by it. I grew up in Ireland when the control and influence of the Catholic church was still incredibly powerful. I was born in a hospital run by nuns, I was educated in a convent school. We went to Mass every week and every holy day. We learned how to baptize a baby in an emergency to save it going to Limbo. Contraception was against the law because the Church forbade it. The Constitution had been co-written by the Archbishop of Dublin in 1937. I could go on. And in so many ways, that is what the medievals experienced, except even more so. So the concept of a life ruled and dominated by religion feels very familiar. And of course, with the medieval period, there’s chain mail. Everybody likes chain mail. Especially me. Erin Comments: At our Cleveland Museum of Art here in Ohio, in the U.S., they have a fabulous medieval collection of chain mail, armor, helmets, swords, tapestries….that an opulent family had collected, then donated. There is a very large horse (not real of course) that is decked out in armor and a helmet. It’s my 5 year old daughter’s favorite part of the museum! Q: Do you have plans for a sequel and/or separate novels? If so, please share with us. A: I’m working on the sequel, which is called The Blood of The Fifth Knight. King Henry has to call on Sir Benedict Palmer once again. Q: Please let us know where your books are available for purchase? 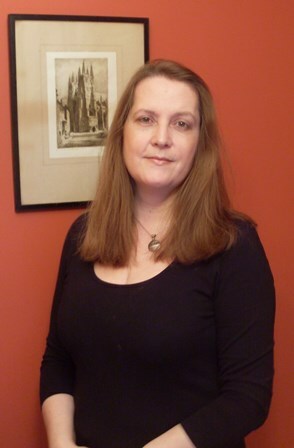 Erin: Thank you so very much for joining us and sharing on our site today. We wish you the best of luck! E.M.: And many thanks to you as well, Erin. It’s been a real pleasure! Enter to win one (1) paperback copy of The Fifth Knight by commenting below or emailing me at hookofabook@hotmail.com by 11:59 p.m. EST two weeks from the date of this post. Open internationally. Get 1 extra entry for following this blog and two extra entries for liking my new Hook of a Book Facebook page at www.facebook.com/HookofaBook. This sounds like an awesome book and author. Great interview! Thanks for the interview and the synopsis. I was leafing through the history of the British monarchy just yesterday. So many little-known rulers, such great fodder for fiction. This sounds like quite an enjoyable mystery, please enter my name for the chance to win a copy. This sounds right up my alley. Thanks for the giveaway. Sure beats studying history during my school days! Thanks for the opportunity to win.